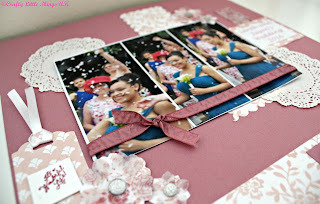 Finally caught up and had a go at The Joy of Sets June Scrapbooking Sketch Challenge. This one was so much fun to do. I took a photo of my daughter when she was a bridesmaid at a wedding and added it to this gorgeous sweet sugar plum background and used fresh florals in powder pink to add a little something, along with the doilies and the flowers which were made using the retired pansy and petite petals punches and added gorgeous multi faceted gems. Some ribbon, printed vellum (sweet sugar plum using a stamp from Wood Words) and a little scalloped tag topper punch help and I was done. I just love how gorgeous this is and so glad I resisted the urge to try to catch the dress colour and went a totally different colour way altogether. 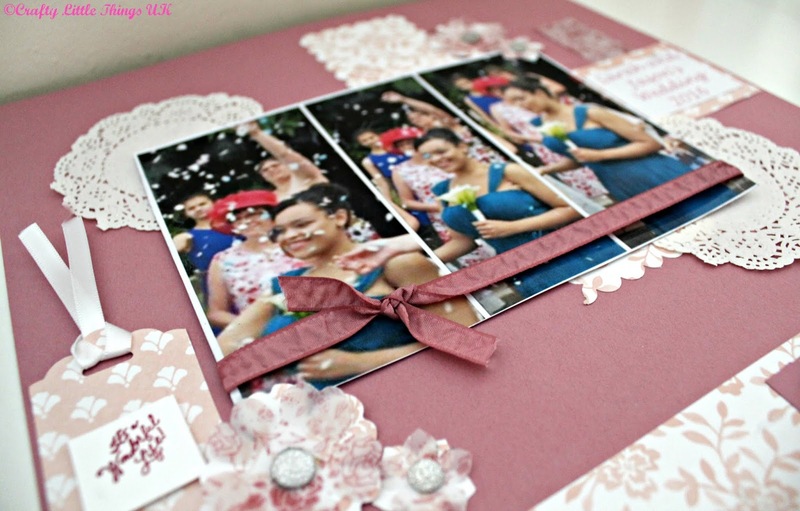 Looking forward to getting my scrapbooking head on again soon. Why not try it yourself, it's a great way to save memories. I have linked The Joy of Sets above and here's a video walk through of me putting this page together... JUST CLICK HERE. I edited this photo using PicMonkey and love the polaroid effect it will make my photos stand out and also makes watermarking/copyrighting so much clearer.